Commonly referred to as persistent ringing in the ears, tinnitus is a very unique condition that creates an artificial sound perception which is only audible to person experiencing the noise. The American Tinnitus Association estimates that more than 60 million Americans suffer from tinnitus. For far too long tinnitus sufferers have had few options to find relief from the persistent ringing. However, in the recent years theere have been new technology breakthhroughs with hearing devices that provide varying degrees of benefit. 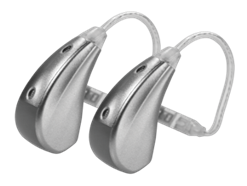 By combining noise-masking devices with such a device it can help to reduce the effects of tinnitus. For more information on the Tinnitus Technology, please call our office or fill out the brief form below.